This time, however, I was not scared, just overwhelmed. Outside are many, many produce stands with people selling any mainstream vegetable or fruit that you could think of. If you can’t find something you like there, well then, I have no idea what you like. On the inside are permanent stands selling everything from meat and dessert to popcorn and pasta. I found a fantastic, homemade multigrain bread that I just needed to have. It looked delicious. It would be perfect for a grilled cheese. On sale at the market down the street was smoked cheese, including smoked Cheddar. 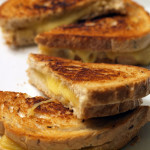 Personally, I love smoked cheeses either plain or in a grilled cheese. The smokiness just adds a great flavor that cannot be replicated. Smoked Cheddar, smoked Swiss…if you put a smoked cheese in front of me, especially a smoked Cheddar, I will scarf it down. Are you the same way or you would prefer non-smoked cheeses? Add your opinion in the comments below. The sous chef bought smoked Cheddar for me with the thought that I would use it in a grilled cheese. Yesterday, I did. 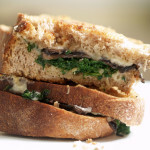 The combination of the awesome smoked cheese and mild but oh so delicious multigrain bread was amazing. 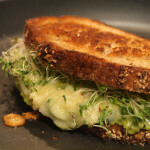 This simple grilled cheese, with a little bit of gourmet flair, put the typical grilled cheese sandwich to shame. 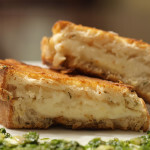 FYI: I paired the grilled cheese with triple cooked french fries w/salt & herbs from a new restaurant in Hudson, Ohio, FlipSide. Yum. Also, I was just featured on Be@Home‘s Best of the Web series! Pretty awesome! Any exposure is great exposure. 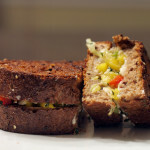 Thanks Scott for checking out the blog and deciding to feature grilledshane. It is very much appreciated. 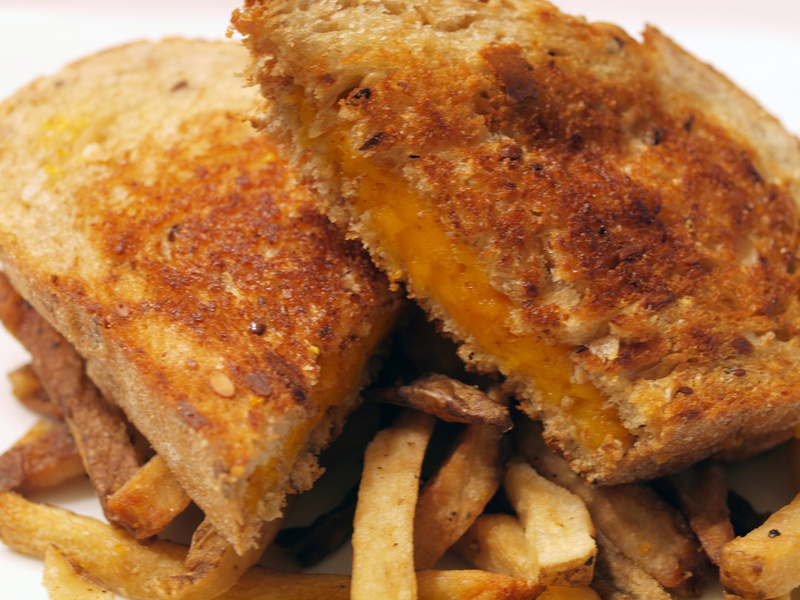 Here is to grilled cheese! 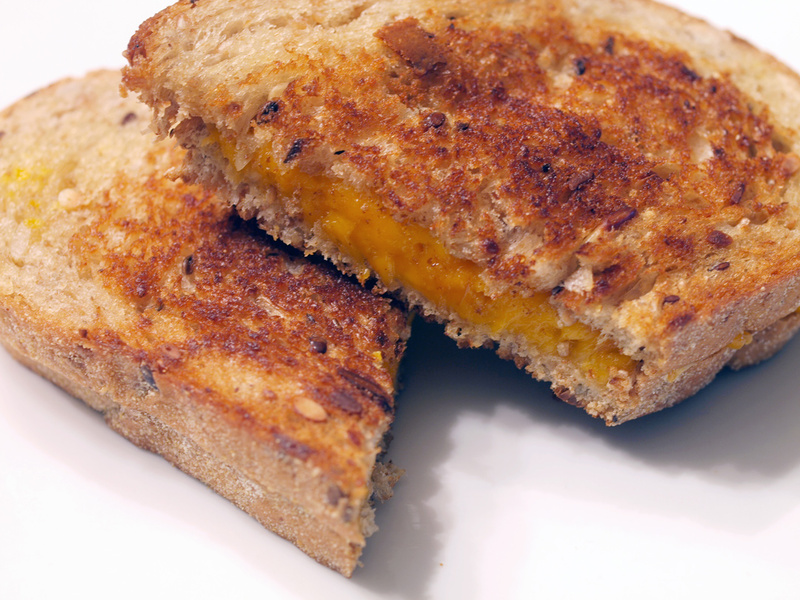 Posted in Grilled Cheese and tagged cheddar, grilled, multigrain, smoked, smoked cheddar. Unfortunately, for the most part the fiance does not.